Coworking is becoming increasingly popular among independent contractors, startups, and other folks that would otherwise work from home. The costs of maintaining an office can break the bank for many individuals hoping to escape from the distractions of home. Coworking locations make it easier and more cost-effective to recreate a traditional office environment and provide your clients (and associates) with a professional atmosphere to meet. Entire offices dedicated to coworking – like thinkspace – are springing up around the U.S. and in many parts of the world. Like ours, these offices are often set up with memberships that allow people to pay for the time they need, or subscribe at a flat monthly fee to use the facilities of a fully-functioning office without the costs associated with going it solo. Humans are social creatures, so it can be very difficult to find joy in spending the majority of your day cooped up in your home, disconnected from the rest of the world. A coworking environment can allow you to collaborate with other people face-to-face where you might not be able to otherwise. If you’re a blogger, there’s a good chance that someone in your coworking environment does similar work, or can offer a unique insight into a project you’re working on. But coworking isn’t just about sharing an office or having a place to have mail sent. It’s about working in a cooperative environment where everyone involved has an equal opportunity to benefit. Of course, coworking spaces also provide the added benefits that working in an office provides, without the need to actually work in an office. (We know – we hate that idea too.) Many provide members with a shared receptionist that takes calls and greets guests at the door. Meeting rooms are also a perk that can come in handy should a client wish to stop by and meet with you in person. 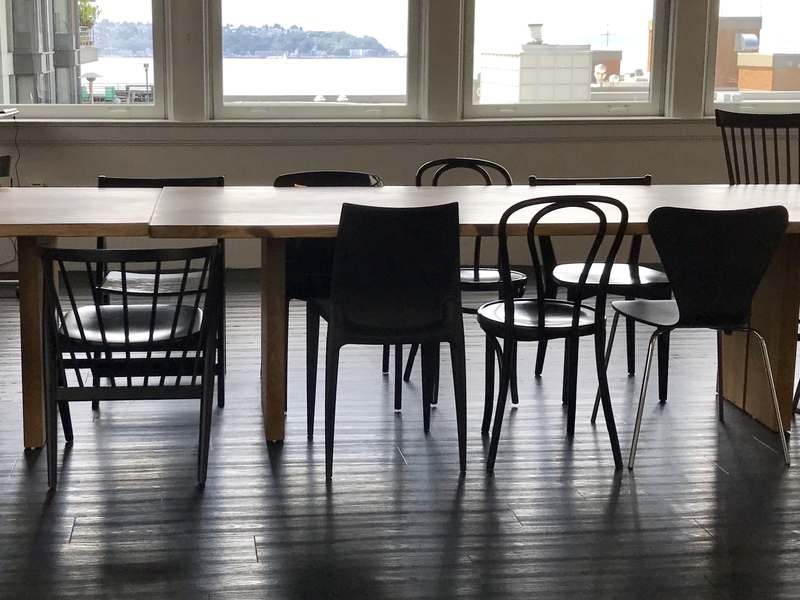 A reliable Internet connection, dedicated working environment, and other shared resources are just part of what makes coworking spaces worthwhile. A coworking space can also be beneficial to your wallet. Renting a small office somewhere could cost you hundreds or thousands of dollars per month. Coworking spaces can cost a fraction of that amount, and you can use it every day or only as you need it – without having to sign a lease that holds you liable to paying for what you end up not using. Startups are especially sensitive to overhead costs, and if a startup can connect with an incubator and/or a coworking environment, these costs can be kept under control so its staff can concentrate on doing what’s important instead. While we might be a little biased, the benefits can often far outweigh the costs involved – especially if the cost is a benefit itself. Well, that was pretty true! Coworking spaces can cut your budget! I mean, you can save a lot of money to invest in your business, and this is awesome for start -up as me! From another point of view you can share space with so great minds that have the same goals as you, and this was really good for my “business mind”. Right now i’m living in São Paulo, and decided to find a great space to work here http://www.gowork,com they offer really good benefits for coworkers,besides the people that work here, so friendly and always up to help you!! !